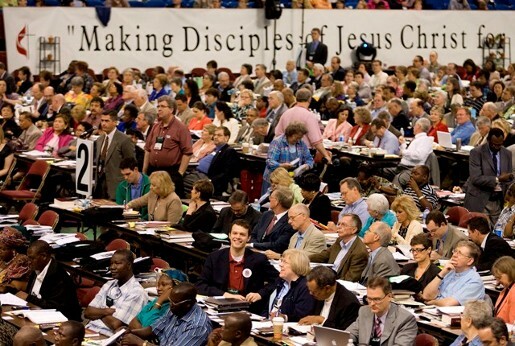 United Methodists are a connectional denomination. We like to meet! 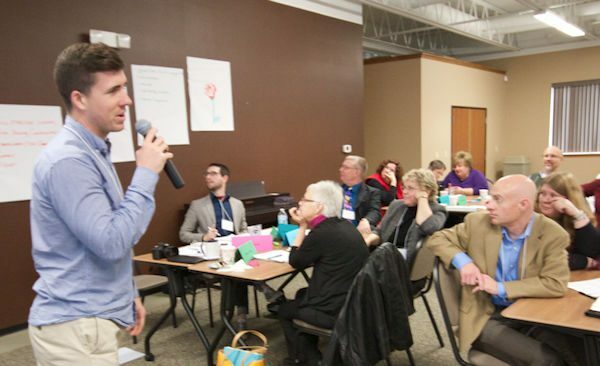 We are happy to accommodate your conference meeting needs at the Ministry Center in Lansing. We do ask that you prepare by contacting our office and understanding how you can help us help you! Conference Center Assembly Room - accommodates up to 100 people. Meeting Room- accommodates up to 30 people. Conference Room- accommodates up to 12 people. Rooms are available Monday - Thursday 9:30 AM to 4:30PM. The office does not hold meetings on Fridays. Please call to reserve or cancel any meeting. In the event of inclement weather the office will close. If Lansing District Schools are closed due to weather, all conference offices are closed. No notice will be sent to cancel your meeting. Check the conference Facebook page and website for details. Coffee and water are available. Meals and snacks are the responsibility of each group. Please ask for a list of caterers. Most food delivery companies require 24 hour notice. Virtual technology is available upon request. Please call at least 7 days prior to your meeting to make arrangements. Please arrive with your own photocopies and materials for handouts. The building photocopier is for the use of the staff. The break room facilities and Episcopal Office area are private and not intended as communal space. Out of respect for those working in this area please do not enter without an appointment.